Harriet Barber and Zoe Armstrong - for their entry Green Light equals Sprout Booster. Shaquille Khan with the project he did with Kristijan Ilievski(absent). 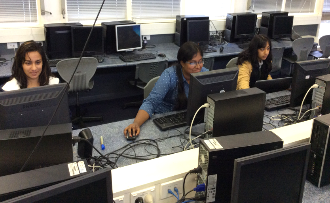 Now in its eighth year, this annual competition is a problem solving event for teams of three to four secondary students, organised by the Department of Engineering Science at University of Auckland. 2016 question: What is the fastest humanly possible time for the Olympic 100m freestyle event? 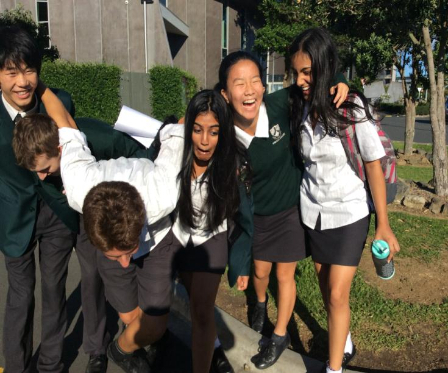 This year, we had 9 teams in total, consisting of Year 12 and Year 13 students. The judges (comprised of PhD students and lecturers) at the university are now going through hundreds of reports and the results of the competition would be released early next term. 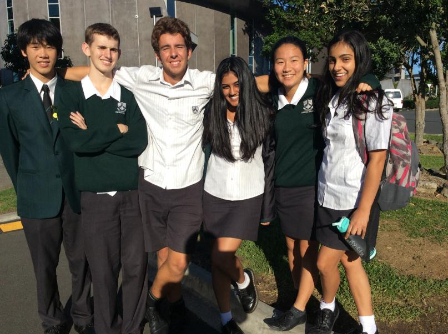 Lynfield's Year 13 team consisted of Joel Boasman, Simon Stanimiroff (captain) and Alan Wu while our Year 12 team consisted of Kitty Sun (captain), Jia Dua and Jenna Kumar. 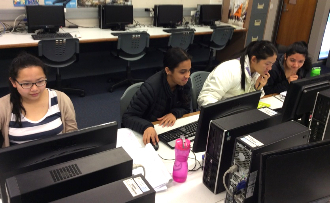 Prior to the tournament, competing teams, consisting of 3 students each, are given 7 complex problems to theoretically and experimentally research on. These questions are released in Term 4 of the previous year. At the competition the teams present and defend the validity of their solutions against teams in “Physics Fights”. Juries consisting of respected physicists and physics teachers rate their reports and the discussion that those reports generate. Each team is graded out of 10 points per judge, with 5 judges in total per fight. The tournament started at 8.45 am and finished at 6 pm. 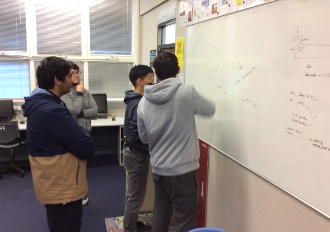 At the start of the tournament, our year 12 students were a little anxious going into the first round of the “Physics fights”. However, once they overcame the initial fear and got used to the procedures involved, they gained valuable points in the remaining fights. 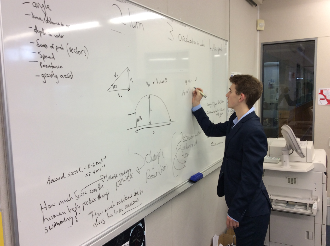 Experience from the previous year enabled the year 13 team to perform consistently in their “Physics fights”. Our Year 13 and Year 12 teams finished 10th and 9th overall, both teams in the top 10. 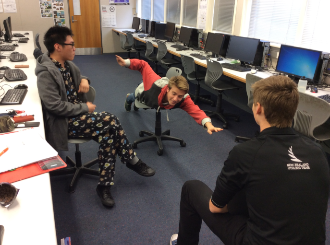 All the students must be praised for the long hours they spent in preparation for the competition. The depth of the research, both theoretical and experimental, they undertook in preparation for the problems will linger in their memories for a very long time. Mr Reddy was the supervising teacher and was joined by Ms Vasile as a judge. Left image " A little anxious before the tournament"
Right image " Definitely more relaxed and relieved afterwards"